Pablo Picasso, Head, 1912. Charcoal on paper, 64.50 x 49.50 cm. Scottish National Gallery of Modern Art. Photograph courtesy of Sotheby’s. The Scottish National Gallery of Modern Art announced the acquisition of a highly important drawing by Pablo Picasso, which goes on display for the first time today. This landmark purchase was made thanks to an enormously generous legacy made by Henry and Sula Walton. Dating from 1912, Head is a large charcoal drawing of exceptional quality. Drawings from this crucial period in Picasso’s career are extremely rare and the larger works, such as Head, which measures 64.9 x 49.5 cm, are nearly all in museum collections. 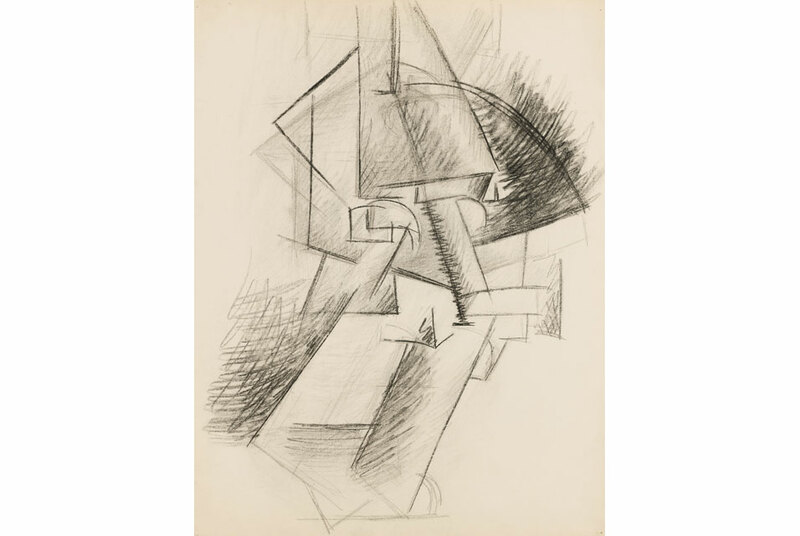 Picasso’s cubist work dates from about 1907 to 1915. Rather than try to copy nature, Picasso was interested in recreating it by pulling it apart and recomposing it. Part of the impetus behind cubism comes from the desire to view an object from different sides, and re-compose these different views in a single picture. Cubism is arguably the most important development in art since the Renaissance, and its influence on art and design can hardly be over-estimated. Picasso hoarded huge numbers of his drawings, and at his death in 1973, most of them passed to the French state and in turn became part of the new Musée Picasso in Paris. This drawing belonged to Picasso’s grand-daughter, Marina Picasso, from whom it was purchased by Jan Krugier (1924-2008), one of the world’s leading dealers in modern art. He kept it for his own collection. His celebrated collection of drawings was offered for sale at a Sotheby’s auction in London in February this year; the Gallery acquired it directly at auction. The Gallery now boasts a world-class group of works by Picasso. The drawing relates to several works by Picasso already in the collection: a collage Head, 1913; and the large Weeping Woman etching of 1937. View our Picasso collection here at (GallArt.com).